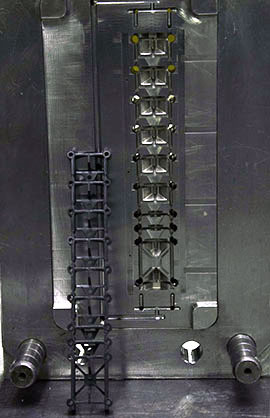 We are always eager to evaluate new products for molding feasibility. The first thing we do when we receive a customer's product design file is to determine if the part is within our molding and material capabilities. If it is, we then look for features that could affect the part's "moldability" and a successful outcome—such as thick wall sections, locations of parting lines and ejection pins (appearance factors), gating, undercuts, proposed material, tolerances, etc. After evaluating all of these factors, we may suggest changes to the part that would make it easier to mold and therefore offer savings to build the mold and/or in the piece price. Mold design is the mold builder's responsibility. Mold design is second only to part design to insure a successful outcome. This is done by a professional design engineer in 3D CAD format, deciding layout of cavities, water lines for cooling, gating, parting lines, etc. 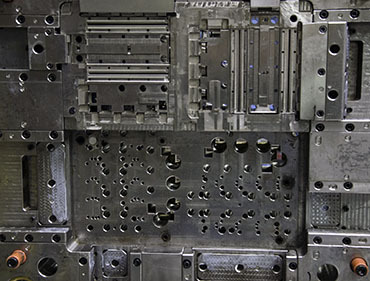 If the mold is to be built by a tooling partner, they do the design and Klann’s mold designer thoroughly reviews before approving it for building. Klann's ability to build molds on-site using our own skilled toolmakers indicates a skill level seldom found anymore at other molders. This expertise also enables us to do repairs and engineering modifications in a timely manner so that your mold can be returned to active service. At one time, Klann built every mold it ran. Today, with the many advances in mold-making technology and specialization, we have been fortunate to team up with professional tooling partners, both domestic and foreign, to offer customers even better values with lower pricing options. Whether your mold is built in house or through an outside source, Klann is fully responsible for every aspect of the mold design and construction—start to finish. Consistent routine maintenance is essential for long-term mold performance. 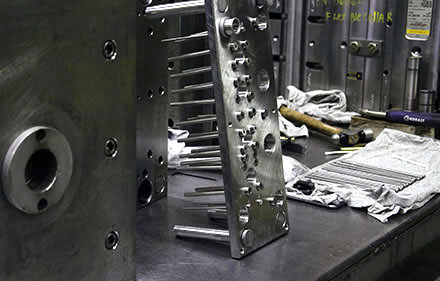 At Klann, all molds are cleaned and lubricated after each molding run, before they are returned to storage. Many other companies skimp on this service, or even skip it altogether, because it is something the customer rarely sees. We may go overboard on mold maintenance, but we wouldn’t have it any other way. We provide this critical service to all customers at no additional charge.